In an era of smartphones tablets and wearables, one more area where its fast moving are the gadgets which are supports android ecosystem. One of the latest such gadget which we came across is the “Drinkmate”. This is the smallest breathalyzer in the World. This device can be primarily used by Police departments as it’s very portable and handy as well. 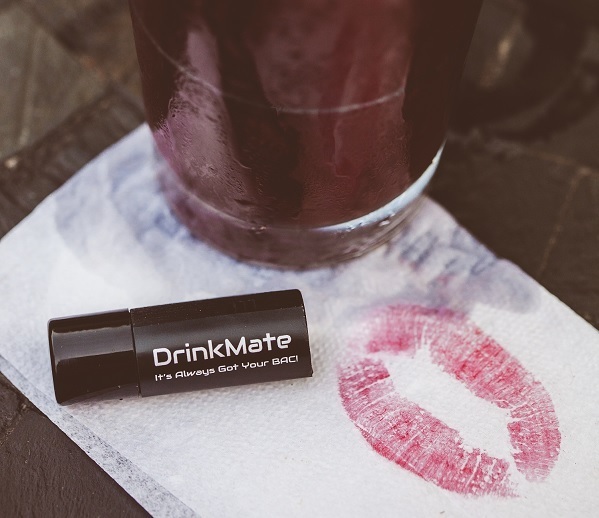 Drinkmate is a tiny breathalyzer for android devices which can be plugged into some of the android devices like Galaxy S3, Galaxy S4, Galaxy S5, Note 3, HTC One, Moto X, Asus Transformer Price & Infinity. 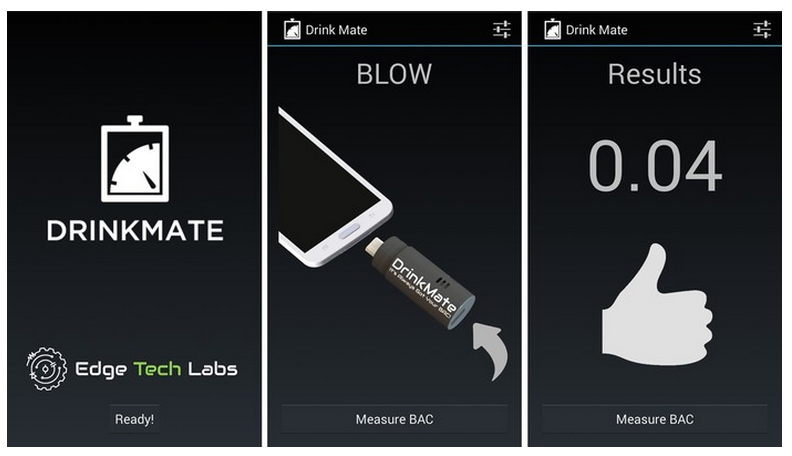 Drinkmate has all necessary built in sensors and is a 1.8 inched device which weighs 0.2oz and can be plugged into the Micro USB port which also comes with the companion app as shown in the screen captures below. This device is being made with the low cost advanced semiconductor sensors and sensor’s maximum BAC is 0.2% which is good enough for understanding whether the person has consumed alcohol or not. The companion app shows the Blood Alcohol Content (BAC) which can be recorded once someone blows into the Drinkmate device. How much battery it consumes? This device consumes very less battery and ranges from 30mA to 80mA during warm up which is only 7 seconds. Drinkmate is available for crowdfunding at Kickstarter and promises to be available by December 2014. This unit price of this device is around $25 and can be purchased from Kickstarter. Do let us know your views and thoughts about such gadgets in the comments below.